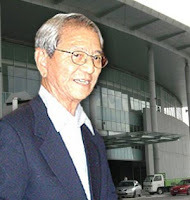 Koon Yew Yin is a retired Chartered Civil Engineer and one of the founders of IJM Corporation Bhd and Gamuda Bhd. Mr. Koon was a former member of the Board of Engineers for 3 terms and a committee member in SIRIM for the drafting of the Malaysian Standards for Cement and Concrete. He was Secretary General of the Master Builders Association, Malaysia for 9 years. He is also well known for his philanthropic activities benefiting young students and various charitable organizations. The most successful stocks this few years which Koon Yew Yin holding are Latitude Tree and V.S. Industry. My purpose of writing this article is to help you improve your investment skill. In my previous article titled ‘An Important Investment Lesson’ I said that you must frequently look at company announcements and when you see any company showing a sudden jump in profit, you should find out more about the company before you rush to buy the share. After you have verified that the company will surely make more profit in this year than last year, you can buy the share if it is still selling cheaply in terms of P/E ratio. Malaysian demand for residential property is set to slow further in 2015, according to a forecast by Moody’s. A report issued by the ratings agency on 5th Feb this year said property demand will be affected by cooling measures introduced in 2013 and weak buyer sentiment. According to Jacintha Poh, assistant vice-president and analyst at Moody’s, property sales in 2015 should be dampened by anticipated higher mortgage rates, as well as the implementation of the 6% Goods and Services Tax (GST) in April. Company announcement can be misleading. Quite often company announcement of quarterly profit can be misleading especially property companies. For example: The recent profit announcement by Hua Yang attracted my attention. Its 4th Quarter EPS was 11 sen and its annual EPS was 41.9 sen and the share is currently selling at about Rm 2.10. Moreover, I was further tempted to buy after I read T A Securities’ buy recommendation as posted on the latest issue of The Edge. I looked at Hua Yang’s announcement in Bursa and I found out more details of the company. In summary, it has trade and other payables of Rm 142 million, short term borrowings of Rm 79 million and long term borrowing of Rm 192 million. Share capital Rm 264 million and reserves Rm 202 million=total net assets Rm 466 million. The most worrying announcement is that it is calling an EGM on 2nd June 2015, to seek shareholders’ approval to buy a piece of land for Rm 120 million cash. They have to increase their bank borrowing to pay for the land. It looks like the Board of directors does not know that there is already an oversupply of properties in the market and they do not seem to realize that it will take about 7 years to complete the development of the land before they can see any profit. When you see property companies showing good profit in their latest announcements, it is important to find out if the good result is solely due to the presale of their properties. With profit of RM369 Million and EPS of 0.3748 sen this company is a winner!!. How can the revenue of Rm 60 million produce a profit of Rm 369 million? Should you buy the share selling at 27 sen? The answer should be a resounding “NO” as the higher profit is due to revaluation of assets and not from actual trading operation. Hence such results are not sustainable and there will not be a repeat in the next quarter. Be Careful: When you see property companies showing good profit in their latest announcements, it is important to find out if the good result is solely due to revaluation of assets or due to the presale of their properties. I talk to a few developers recently and almost all of them told me that they have difficulty in selling their condominiums. They cannot completely sell all their condominiums which are currently open for sale. The worst damaging effect is that they have to construct the whole high rise building even if a small percentage is presold. Unlike developing terrace or detach houses, the developers can hold on to the vacant land if the houses are not presold and holding vacant land will cost less interest charges than holding completed condominiums. A few years ago until recently when property prices were rising, speculators could easily make profit by putting small down payments and sell their bookings before the construction completion. Now speculators cannot do it because property prices are falling. Avoid buying property shares in general because their profit growth prospect is not so bright. There might be a few exceptions that I do not know.